New Hampshire’s Tin Mountain Conservation Center provides education programs that foster greater awareness and understanding of the natural environment for school children, adults, and families. 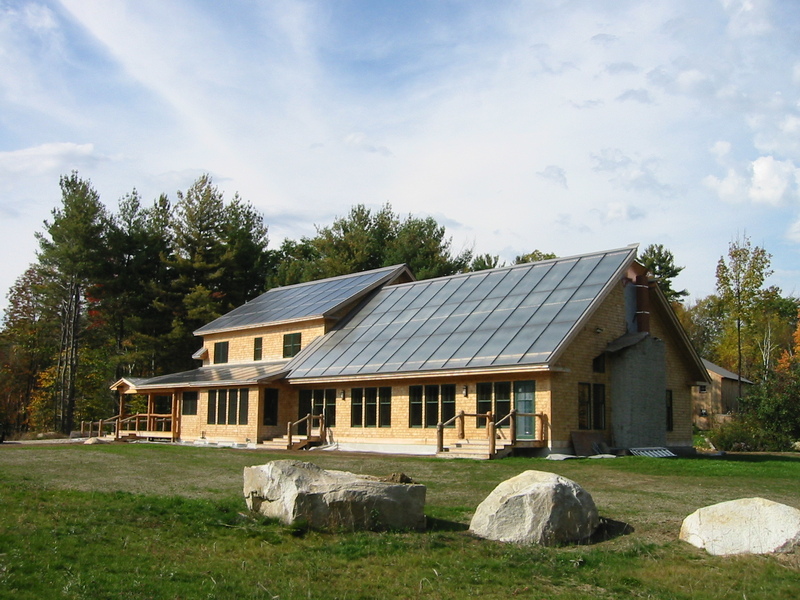 When the organization decided to build their new headquarters and Nature Learning Center, SDA was retained to help create a net-zero-energy home for the organization. SDA worked with the local architects to dvelop a design that responded to thte site and met the client’s requirements while obtaining all its energy from renewable energy. 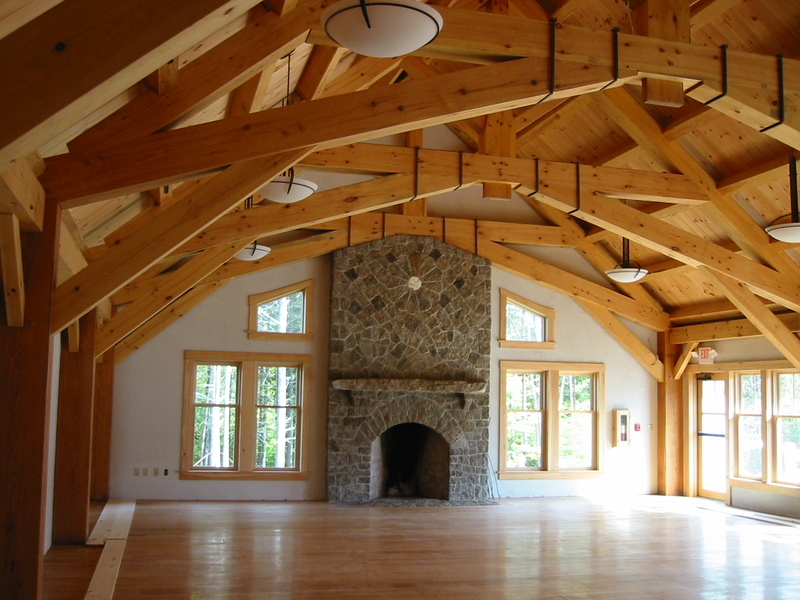 Timber harvested from the site frames the dramatic great space. 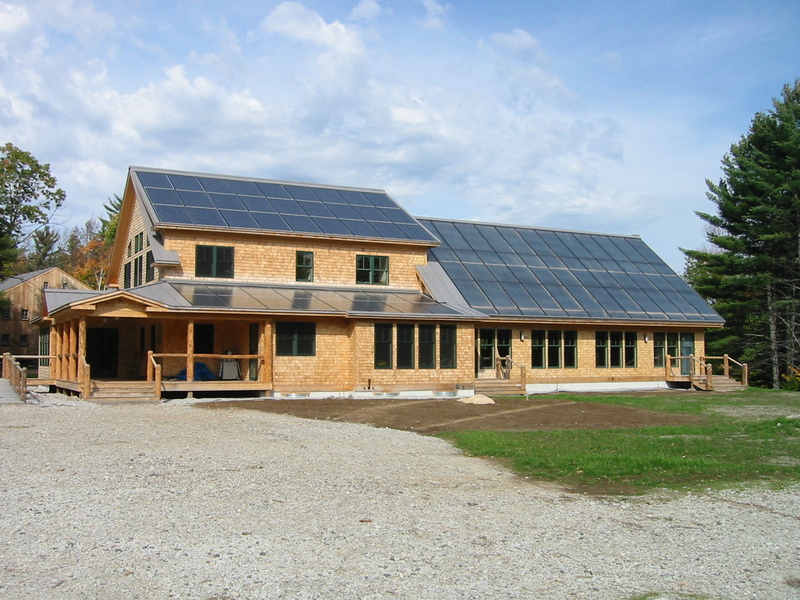 High levels of insulation and energy efficiency reduce loads. Solar collection systems were then integrated into the south roofs to produce hot water, space heat, and electricity for the center. A Tarm wood boiler provides supplemental heating during extended periods of cold, cloudy weather.